A Basic Course in Moroccan Arabic is a textbook in spoken Moroccan Arabic that is written for beginners who are unfamiliar with the Arabic language, alphabet, pronunciation, vocabulary, and grammar. Written in Latinate transcription it is carefully designed to present these elements in a progressive, user-friendly, step-by-step manner. Following the initial pronunciation introductions and practice, there are 130 lessons consisting of a text where a small number of phrases and sentences illustrate grammatical points. These sections also contain exercises in new grammar and vocabulary. Each lesson is structured in a way that guides the learner naturally and comfortably into an understanding of the structure of Moroccan Arabic. From there, the course progresses into ninety-seven short, conversational dialogs that place the student in a variety of social situations. First introduced to Arabic language students in the 1960s, A Basic Course in Moroccan Arabic still has no equal for clarity and ease of use. An audio CD of MP3 files that further aid and enhance the lessons is now bound into this volume. Adolescence is in many ways a culturally constructed category, with different meanings for different societies. 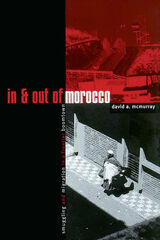 Susan Schaefer Davis and Douglas A. Davis have studied adolescence in Zawiya, a town in northern Morocco. 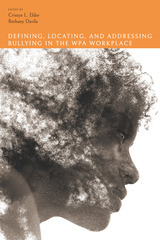 They examine changes in views of adolescence, changes in adolescent behavior, and differences in the adolescent experiences of boys and girls over the past few decades. Rashid was eighteen in 1982, when he helped us understand the feelings and activities of young people in his neighborhood, no longer a boy but not quite a man. He liked to talk about how his feelings and his understanding had grown from the time described, when he was just a kid. He recalled his dreams and plans in one of the hundreds of conversations we had about adolescence in this Moroccan town. His generation of youth in "Zawiya," on the western edge of North Africa, are the subject of this book. There are two major women’s movements in Morocco: the Islamists who hold shari’a as the platform for building a culture of women’s rights, and the feminists who use the United Nations’ framework to amend shari’a law. Between Feminism and Islam shows how the interactions of these movements over the past two decades have transformed the debates, the organization, and the strategies of each other. In Between Feminism and Islam, Zakia Salime looks at three key movement moments: the 1992 feminist One Million Signature Campaign, the 2000 Islamist mass rally opposing the reform of family law, and the 2003 Casablanca attacks by a group of Islamist radicals. At the core of these moments are disputes over legitimacy, national identity, gender representations, and political negotiations for shaping state gender policies. Located at the intersection of feminism and Islam, these conflicts have led to the Islamization of feminists on the one hand and the feminization of Islamists on the other. Documenting the synergistic relationship between these movements, Salime reveals how the boundaries of feminism and Islamism have been radically reconfigured. She offers a new conceptual framework for studying social movements, one that allows us to understand how Islamic feminism is influencing global debates on human rights. Through state-backed Catholicism, monolingualism, militarism, and dictatorship, Spain’s fascists earned their reputation for intolerance. It may therefore come as a surprise that 80,000 Moroccans fought at General Franco’s side in the 1930s. What brought these strange bedfellows together, Eric Calderwood argues, was a highly effective propaganda weapon: the legacy of medieval Muslim Iberia, known as al-Andalus. This legacy served to justify Spain’s colonization of Morocco and also to define the Moroccan national culture that supplanted colonial rule. Writers of many political stripes have celebrated convivencia, the fabled “coexistence” of Christians, Muslims, and Jews in medieval Iberia. According to this widely-held view, modern Spain and Morocco are joined through their shared Andalusi past. Colonial al-Andalus traces this supposedly timeless narrative to the mid-1800s, when Spanish politicians and intellectuals first used it to press for Morocco’s colonization. Franco later harnessed convivencia to the benefit of Spain’s colonial program in Morocco. This shift precipitated an eloquent historical irony. As Moroccans embraced the Spanish insistence on Morocco’s Andalusi heritage, a Spanish idea about Morocco gradually became a Moroccan idea about Morocco. 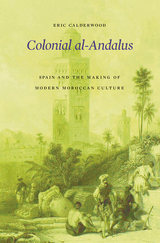 Drawing on a rich archive of Spanish, Arabic, French, and Catalan sources—including literature, historiography, journalism, political speeches, schoolbooks, tourist brochures, and visual arts—Calderwood reconstructs the varied political career of convivencia and al-Andalus, showing how shared pasts become raw material for divergent contemporary ideologies, including Spanish fascism and Moroccan nationalism. Colonial al-Andalus exposes the limits of simplistic oppositions between European and Arab, Christian and Muslim, that shape current debates about European colonialism. Having worked for several decades in North Africa, anthropologist Lawrence Rosen is uniquely placed to ask what factors contribute to the continuity and changes characterizing the present-day Muslim world. In The Culture of Islam, he brings his erudition and his experiences to illuminating key aspects of Muslim life and how central tenets of that life are being challenged and culturally refashioned. Through a series of poignant tales—from the struggle by a group of friends against daily corruption to the contest over a saint's identity, from nostalgia for the departed Jews to Salman Rushdie's vision of doubt in a world of religious certainty—Rosen shows how a dazzling array of potential changes are occurring alongside deeply embedded continuity, a process he compares to a game of chess in which infinite variations of moves can be achieved while fundamental aspects of "the game" have had a remarkably enduring quality. 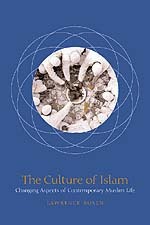 Whether it is the potential fabrication of new forms of Islam by migrants to Europe (creating a new "Euro-Islam," as Rosen calls it), the emphasis put on individuals rather than institutions, or the heartrending problems Muslims may face when their marriages cross national boundaries, each story and each interpretation offers a window into a world of contending concepts and challenged coherence. The Culture of Islam is both an antidote to simplified versions of Islam circulating today and a consistent story of the continuities that account for much of ordinary Muslim life. It offers, in its human stories and its insights, its own contribution, as the author says, "to the mutual understanding and forgiveness that alone will make true peace possible." This classic volume presents the core vocabulary of everyday life in Morocco—from the kitchen to the mosque, from the hardware store to the natural world of plants and animals. It contains myriad examples of usage, including formulaic phrases and idiomatic expressions. Understandable throughout the nation, it is based primarily on the standard dialect of Moroccans from the cities of Fez, Rabat, and Casablanca. All Arabic citations are in an English transcription, making it invaluable to English-speaking non-Arabists, travelers, and tourists—as well as being an important resource tool for students and scholars in the Arabic language-learning field. Over the past thirty years, Morocco’s cities have transformed dramatically. To take just one example, Casablanca’s medina is now obscured behind skyscrapers that are funded by global capital and encouraged by Morocco’s monarchy, which hopes to transform this city into a regional leader of finance and commerce. Such changes have occurred throughout Morocco. Megaprojects are redesigning the cityscapes of Rabat, Tangiers, and Casablanca, turning the nation’s urban centers into laboratories of capital accumulation, political dominance, and social control. 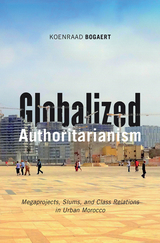 In Globalized Authoritarianism, Koenraad Bogaert links more abstract questions of government, globalization, and neoliberalism with concrete changes in the city. Bogaert goes deep beneath the surface of Morocco’s urban prosperity to reveal how neoliberal government and the increased connectivity engendered by global capitalism transformed Morocco’s leading urban spaces, opening up new sites for capital accumulation, creating enormous class divisions, and enabling new innovations in state authoritarianism. Analyzing these transformations, he argues that economic globalization does not necessarily lead to increased democratization but to authoritarianism with a different face, to a form of authoritarian government that becomes more and more a globalized affair. Showing how Morocco’s experiences have helped produce new forms of globalization, Bogaert offers a bridge between in-depth issues of Middle Eastern studies and broader questions of power, class, and capital as they continue to evolve in the twenty-first century. As concern about immigration has grown within Europe in recent years, the European Union has brought pressure to bear on countries that are allegedly not sufficiently governing irregular migration with and within their borders. This book looks at that issue in Turkey and Morocco, showing how it affects migrants in these territories, and how migrant illegality has been produced by law, practiced and negotiated by the state, other civil society actors, and by migrants themselves. Ayşen Üstübici focuses on a number of different aspects of migrant illegality, such as experiences of deportation, participation in economic life, and access to health care and education, in order to reveal migrants' strategies and the various ways they seek to legitimize their stay. Imagined Museums examines the intertwined politics surrounding art and modernization in Morocco from 1912 to the present by considering the structure of the museum not only as a modern institution but also as a national monument to modernity, asking what happens when museum monuments start to crumble. In an analysis of museum history, exhibition policy, the lack of national museum space for modern art, and postmodern exhibit spaces in Morocco, Katarzyna Pieprzak focuses on the role that art plays in the social fabric of a modernizing Morocco. She argues that the decay of colonial and national institutions of culture has invited the rethinking of the museum and generated countermuseums to stage new narratives of art, memory, and modernity. Through these spaces she explores a range of questions: How is modernity imagined locally? How are claims to modernity articulated? How is Moroccan modernity challenged globally? In this first cultural history of modern Moroccan art and its museums, Pieprzak goes beyond the investigation of national institutions to treat the history and evolution of multiple museums—from official state and corporate exhibition spaces to informal, popular, street-level art and performance spaces—as cultural architectures that both enshrine the past and look to the future. The image of the ethnographer in the field who observes his or her subjects from a distance while copiously taking notes has given way in recent years to a more critical and engaged form of anthropology. Composed as a polyphonic dialogue of texts, Stefania Pandolfo's Impasse of the Angels takes this engagement to its limit by presenting the relationship between observer and observed as one of interacting equals and mutually constituting interlocuters. Impasse of the Angels explores what it means to be a subject in the historical and poetic imagination of a southern Moroccan society. Passionate and lyrical, ironic and tragic, the book listens to dissonant, often idiosyncratic voices—poetic texts, legends, social spaces, folktales, conversations—which elaborate in their own ways the fractures, wounds, and contradictions of the Maghribî postcolonial present. Moving from concrete details in a traditional ethnographic sense to a creative, experiential literary style, Impasse of the Angels is a tale of life and death compellingly addressing readers from anthropology, literature, philosophy, postcolonial criticism, and Middle Eastern studies. A revealing inquiry into how global culture is lived locally. Every summer for almost forty years, tens of thousands of Moroccan emigrants from as far away as Norway and Germany have descended on the duty-free smugglers' cove/migrant frontier boomtown of Nador, Morocco. David McMurray investigates the local effects of the multiple linkages between Nador and international commodity circuits, and analyzes the profound effect on everyday life of the free flow of bodies, ideas, and commodities into and out of the region. Combining immigration and population statistics with street-level ethnography, In and Out of Morocco covers a wide range of topics, including the origin and nature of immigrant nostalgia, the historical evolution of the music of migration in the region, and the influence of migrant wealth on social distinctions in Nador. Groundbreaking in its attention to the performative aspects of life in a smuggling border zone, the book also analyzes the way in which both migration and smuggling have affected local structures of feeling by contributing to the spread of hyperconsumption. The result is a rare and revealing inquiry into how the global culture is lived locally. David A. McMurray is assistant professor of anthropology at Oregon State University in Corvallis. 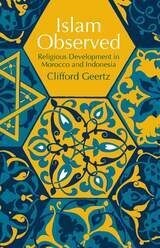 "In four brief chapters," writes Clifford Geertz in his preface, "I have attempted both to lay out a general framework for the comparative analysis of religion and to apply it to a study of the development of a supposedly single creed, Islam, in two quite contrasting civilizations, the Indonesian and the Moroccan." Mr. Geertz begins his argument by outlining the problem conceptually and providing an overview of the two countries. 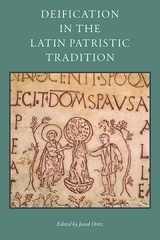 He then traces the evolution of their classical religious styles which, with disparate settings and unique histories, produced strikingly different spiritual climates. So in Morocco, the Islamic conception of life came to mean activism, moralism, and intense individuality, while in Indonesia the same concept emphasized aestheticism, inwardness, and the radical dissolution of personality. In order to assess the significance of these interesting developments, Mr. Geertz sets forth a series of theoretical observations concerning the social role of religion. 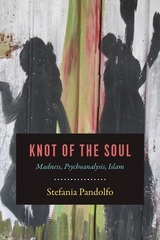 Through a dual engagement with the unconscious in psychoanalysis and Islamic theological-medical reasoning, Stefania Pandolfo’s unsettling and innovative book reflects on the maladies of the soul at a time of tremendous global upheaval. Drawing on in-depth historical research and testimonies of contemporary patients and therapists in Morocco, Knot of the Soul offers both an ethnographic journey through madness and contemporary formations of despair and a philosophical and theological exploration of the vicissitudes of the soul. Knot of the Soul moves from the experience of psychosis in psychiatric hospitals, to the visionary torments of the soul in poor urban neighborhoods, to the melancholy and religious imaginary of undocumented migration, culminating in the liturgical stage of the Qur’anic cure. Demonstrating how contemporary Islamic cures for madness address some of the core preoccupations of the psychoanalytic approach, she reveals how a religious and ethical relation to the “ordeal” of madness might actually allow for spiritual transformation. This sophisticated and evocative work illuminates new dimensions of psychoanalysis and the ethical imagination while also sensitively examining the collective psychic strife that so many communities endure today. For more than a century, urban North Africans have sought to protect and revive Andalusi music, a prestigious Arabic-language performance tradition said to originate in the “lost paradise” of medieval Islamic Spain. Yet despite the Andalusi repertoire’s enshrinement as the national classical music of postcolonial North Africa, its devotees continue to describe it as being in danger of disappearance. 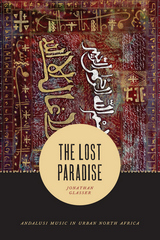 In The Lost Paradise, Jonathan Glasser explores the close connection between the paradox of patrimony and the questions of embodiment, genealogy, secrecy, and social class that have long been central to Andalusi musical practice. 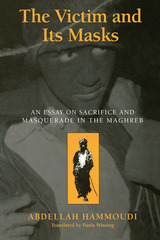 Through a historical and ethnographic account of the Andalusi music of Algiers, Tlemcen, and their Algerian and Moroccan borderlands since the end of the nineteenth century, Glasser shows how anxiety about Andalusi music’s disappearance has emerged from within the practice itself and come to be central to its ethos. The result is a sophisticated examination of musical survival and transformation that is also a meditation on temporality, labor, colonialism and nationalism, and the relationship of the living to the dead. In the postcolonial era, Arab societies have been ruled by a variety of authoritarian regimes. Focusing on his native Morocco, Abdellah Hammoudi explores the ideological and cultural foundations of this persistent authoritarianism. Building on the work of Foucault, Hammoudi argues that at the heart of Moroccan culture lies a paradigm of authority that juxtaposes absolute authority against absolute submission. 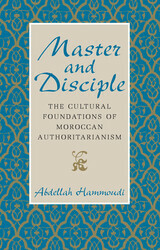 Rooted in Islamic mysticism, this paradigm can be observed in the drama of mystic initiation, with its fundamental dialectic between Master and Disciple; in conflict with other cultural forms, and reelaborated in colonial and postcolonial circumstances, it informs all major aspects of Moroccan personal, political, and gender relations. Its influence is so pervasive and so firmly embedded that it ultimately legitimizes the authoritarian structure of power. Hammoudi contends that as long as the Master-Disciple dialectic remains the dominant paradigm of power relations, male authoritarianism will prevail as the dominant political form. 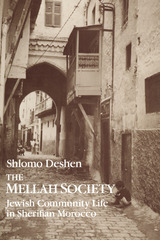 The Mellah Society is a compact yet detailed and fascinating account of Jewish life in precolonial Morocco, based on the voluminous but rarely studied writings of eighteenth- and nineteenth-century Judeo-Moroccan sages. Shlomo Deshen, author of several books on North African Jewish immigrants to Israel, here turns his attention to the past. Taking as his focus the tension between individualism and communal authority—symbolized by the walls of the mellahs, the Jewish quarters—he applies to traditional Moroccan Jewish society questions of concern to sociologists everywhere regarding political organization, economic activity, religion, and the family. From such documents as private correspondence, archival photographs, and the legal commentaries of rabbis who served in the Jewish community courts, Deshen draws out details of daily life: disputes between spouses, businessmen, craftsmen, and inheritors; the ramifications of marriage contracts; and claims involving community taxes and extortions by Muslim potentates. Linking this material with recent historical and anthropological studies of the Maghreb, Deshen reconstructs a community about which little has been known and places it squarely within the context of traditional Moroccan society. Individual chapters deal with relations between Muslims and Jews, the material conditions of Jewish life, and the nature of politics within the mellah. Deshen devotes particular attention to the nature of the Moroccan rabbinate, the sociology of the mellah synagogue, lay community leadership, and the historic role of the Sephardic heritage in Morocco after the expulsion from medieval Spain. His close study of the nature of the extended family in traditional Morocco corrects popular misconceptions. 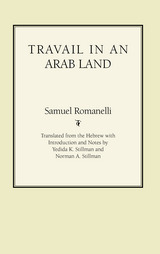 Originally published in Israel in 1983, now translated and expanded by its author, The Mellah Society draws upon Middle Eastern and Jewish history, textual Judaic studies, and social anthropology to make an original contribution that will interest scholars of the Middle East and North Africa as well as anyone concerned with Jewish history and ethnicity. Until attention shifted to the Middle East in the early 1970s, Americans turned most often toward the Maghreb—Morocco, Algeria, Tunisia, and the Sahara—for their understanding of “the Arab.” In Morocco Bound, Brian T. Edwards examines American representations of the Maghreb during three pivotal decades—from 1942, when the United States entered the North African campaign of World War II, through 1973. He reveals how American film and literary, historical, journalistic, and anthropological accounts of the region imagined the role of the United States in a world it seemed to dominate at the same time that they displaced domestic social concerns—particularly about race relations—onto an “exotic” North Africa. Edwards reads a broad range of texts to recuperate the disorienting possibilities for rethinking American empire. Examining work by William Burroughs, Jane Bowles, Ernie Pyle, A. J. Liebling, Jane Kramer, Alfred Hitchcock, Clifford Geertz, James Michener, Ornette Coleman, General George S. Patton, and others, he puts American texts in conversation with an archive of Maghrebi responses. Whether considering Warner Brothers’ marketing of the movie Casablanca in 1942, journalistic representations of Tangier as a city of excess and queerness, Paul Bowles’s collaboration with the Moroccan artist Mohammed Mrabet, the hippie communities in and around Marrakech in the 1960s and early 1970s, or the writings of young American anthropologists working nearby at the same time, Edwards illuminates the circulation of American texts, their relationship to Maghrebi history, and the ways they might be read so as to reimagine the role of American culture in the world. While much of the Middle East is now engulfed in conflict and repression, Morocco remains a curious anomaly: peaceful and open to the West, it has provided refuge for artists and writers for generations, and it remains an exotic destination for many curious travelers. The country has been influenced by an incredible variety of peoples—Phoenicians, Romans, Arabs, Berbers, Muslims, Jews, and most of Europe’s colonizers have played a role—and modern Moroccan society is no less rich and varied. In Morocco, Walter M. Weiss brings extensive knowledge of the region to bear as he travels the breadth and depth of the country’s social and geographical contrasts. Berber villagers of the mountains are for the most part still illiterate and consider their king to be divinely chosen, while businessmen in Casablanca’s towering offices dream of closer ties to the European Union. 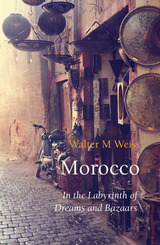 Weiss visits the settings of modern legends, such as Tangier, as well as the two medieval centres Fès and Meknès, and sees earthen kasbahs and Marrakech’s bazaar. On the way, he meets acrobats, Sufi musicians, pilgrims, craftsmen, beatniks, rabbis, and Berber farmers—a kaleidoscope of variety and cultural influence. Paul Bowles, best known for his classic 1949 novel, The Sheltering Sky, is one of the most compelling yet elusive figures of twentieth-century American counterculture. In this definitive biography, Virginia Spencer Carr has captured Bowles in his many guises: gifted composer, expatriate novelist, and gay icon, to name only a few. Born in New York in 1910, Bowles' brilliance was evident from early childhood. His first artistic interest was music, which he studied with the composer Aaron Copland. Bowles wrote scores for films and countless plays, including pieces by Tennessee Williams and Orson Welles. Over the course of his life, his intellectual pursuits led him around the world. He cultivated a circle of artistic friends that included Gertrude Stein, W.H. Auden, Gore Vidal, Truman Capote, Allen Ginsburg, William Burroughs, Stephen Spender, and Carson McCullers. Just as fascinating for his flamboyant personality as for his literary success, Bowles' leftist politics and experimentation with drugs make him an ever-controversial character. Carr delves into Bowles' unconventional marriage to Jane Auer and his self-exile in Morocco. Close friends with him before his death in 1999, Carr's first-hand knowledge of Bowles is undeniable. This book encompasses her personal experiences plus ten years of research and interviews with some two hundred of Bowles' acquaintances. 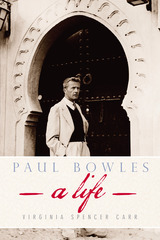 Virginia Spencer Carr has written a riveting biography that tells not only the story of Paul Bowles' literary genius, but also of a crucial period of redefinition in American culture. Carr is simultaneously entertaining and precise, delivering a wealth of information on one of the most mythologized figures of mid-century literature. Politics and culture are at once semi-autonomous and intertwined. Nowhere is this more revealingly illustrated than in urban design, a field that encompasses architecture and social life, traditions and modernization. Here aesthetic goals and political intentions meet, sometimes in collaboration, sometimes in conflict. 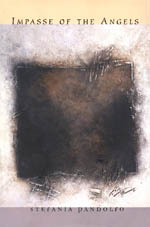 Here the formal qualities of art confront the complexities of history. When urban design policies are implemented, they reveal underlying aesthetic, cultural, and political dilemmas with startling clarity. Gwendolyn Wright focuses on three French colonies—Indochina, Morocco, and Madagascar—that were the most discussed, most often photographed, and most admired showpieces of the French empire in the early twentieth century. She explores how urban policy and design fit into the French colonial policy of "association," a strategy that accepted, even encouraged, cultural differences while it promoted modern urban improvements that would foster economic development for Western investors. Wright shows how these colonial cities evolved, tracing the distinctive nature of each locale under French imperialism. She also relates these cities to the larger category of French architecture and urbanism, showing how consistently the French tried to resolve certain stylistic and policy problems they faced at home and abroad. With the advice of architects and sociologists, art historians and geographers, colonial administrators sought to exert greater control over such matters as family life and working conditions, industrial growth and cultural memory. The issues Wright confronts—the potent implications of traditional norms, cultural continuity, modernization, and radical urban experiments—still challenge us today. remain unengaged in the political process. In contrast to the conventional wisdom, which locates the roots of widespread intranational strife in deeply rooted national identities from the past, Cohen argues that a profound ideological vacuum has fueled destructive tension throughout postcommunist Europe and the former Soviet Union. She uses Slovakia as a case study to reveal that communist regimes bequeathed an insidious form of historical amnesia to the majority of the political elite and the societies they govern. Slovakia was particularly vulnerable to communist intervention since its precommunist national consciousness was so weak and its only period of statehood prior to 1993 was as a Nazi puppet-state. To demonstrate her argument, Cohen focuses on Slovakia’s failure to forge a collective memory of the World War II experience. She shows how communist socialization prevented Slovaks from tying their individual family stories—of the Jewish deportations, of the anti-Nazi resistance, or of serving in the wartime government—to a larger historical narrative shared with others, leaving them bereft of historical or moral bearings. Politics without a Past develops an analytical framework that will be important for future research in Eastern Europe, the former Soviet Union, and beyond. Scholars in political science, history, East European and post-Soviet studies will find Cohen’s methodology and conclusions enlightening. For policymakers, diplomats, and journalists who deal with the region, she offers valuable insights into the elusive nature of postcommunist societies. At last we are beginning to learn as much about the French empire as the British, so that generalizations about imperialism need not continue to be skewed, as they hav,e been in the past, by drawing too many of our data from the British experience. The present study makes a major contribution in this direction, providing as it does the first nearly definitive account of a central series of episodes in the French, African, and Islamic experiences with imperialism. 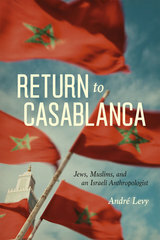 In this book, Israeli anthropologist André Levy returns to his birthplace in Casablanca to provide a deeply nuanced and compelling study of the relationships between Moroccan Jews and Muslims there. 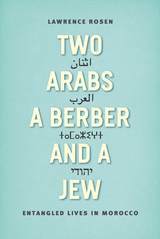 Ranging over a century of history—from the Jewish Enlightenment and the impending colonialism of the late nineteenth century to today’s modern Arab state—Levy paints a rich portrait of two communities pressed together, of the tremendous mobility that has characterized the past century, and of the paradoxes that complicate the cultural identities of the present. Levy visits a host of sites and historical figures to assemble a compelling history of social change, while seamlessly interweaving his study with personal accounts of his returns to his homeland. Central to this story is the massive migration of Jews out of Morocco. Levy traces the institutional and social changes such migrations cause for those who choose to stay, introducing the concept of “contraction” to depict the way Jews deal with the ramifications of their demographic dwindling. Turning his attention outward from Morocco, he goes on to explore the greater complexities of the Jewish diaspora and the essential paradox at the heart of his adventure—leaving Israel to return home. Moroccan cinema serves as an all-inclusive medium that provides a sounding board for a society that is remaking itself. Male and female directors present the face of an engaged, multiethnic and multilingual society. Their cinematography promotes a country that is dynamic and connected to the global sociocultural economy of the twenty-first century. At the same time, they seek to represent the closed, obscure past of a nation’s history that has rarely been told, drawing on themes such as human rights abuse, the former incarceration of thousands during the Lead Years, women’s emancipation, poverty, and claims for social justice. Screening Morocco will introduce American readers to the richness in theme and scope of the cinematic production of Morocco. By examining how neoliberal economic reform policies have affected educated young adults in contemporary Morocco, Searching for a Different Future posits a new socioeconomic formation: the global middle class. During Morocco’s postcolonial period, from the 1950s through the 1970s, development policy and nationalist ideology supported the formation of a middle class based on the pursuit of education, employment, and material security. Neoliberal reforms adopted by Morocco since the early 1980s have significantly eroded the capacity of the state to nurture the middle class, and unemployment and temporary employment among educated adults has grown. There is no longer an obvious correlation between the best interests of the state and those of the middle-class worker. As Shana Cohen demonstrates, educated young adults in Morocco do not look toward the state for economic security and fulfillment but toward the diffuse, amorphous global market. Cohen delves into the rupture that has occurred between the middle class, the individual, and the nation in Morocco and elsewhere around the world. Combining institutional economic analysis with cultural theory and ethnographic observation including interviews with seventy young adults in Casablanca and Rabat, she reveals how young, urban, educated Moroccans conceive of their material, social, and political conditions. 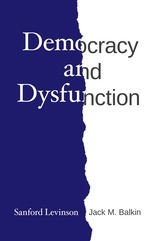 She finds that, for the most part, they perceive improvement in their economic and social welfare apart from the types of civic participation commonly connected with nationalism and national identity. 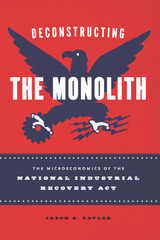 In answering classic sociological questions about how the evolution of capitalism influences identity, Cohen sheds new light on the measurable social and economic consequences of globalization and on its less tangible effects on individuals’ perception of their place in society and prospects in life. Through these essays—which deal with Bowles’s published as well as her unpublished work—Skerl seeks to generate serious critical attention for an important but neglected female experimental writer of the mid-twentieth century and to celebrate her originality, power, and craft. Based in disciplines and theoretical approaches that range from feminist criticism to Middle Eastern studies, from postmodernism to queer theory, and from Victorianism to the Beat Generation, the essayists naturally approach Bowles’s fiction and drama from a wide variety of critical perspectives. All of these essays are unpublished and written for this volume. The Georgetown Dictionary of Moroccan Arabic is a modernized, up-to-date dialectal Arabic language resource that promotes successful daily communication with native Moroccan speakers. Created using the latest computational linguistics ideas and tools, the dictionary represents a new generation of Arabic language reference materials designed to help English speakers gain proficiency in colloquial Arabic variety. Thoroughly updated, expanded, and enhanced, this dictionary supersedes the seminal Moroccan dictionaries originally published by Georgetown University Press in the 1960s. 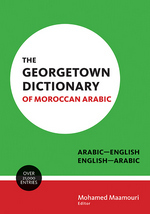 More than just a phrasebook, The Georgetown Dictionary of Moroccan Arabic now includes new words and phrases (including commonly borrowed words), Arabic script and organization by root, pronunciation in IPA format, among other features. 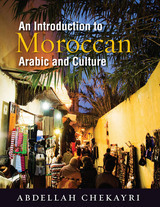 Students, teachers, and scholars of Arabic will welcome this resource, which has a firm base of Moroccan words so they may grow their vocabulary and learn more about the Moroccan Arabic variety. It is the second Georgetown University Press Arabic dialect dictionary that the Linguistic Data Consortium has revamped and remains one of the very few Moroccan dialect dictionaries available. Scholars and linguists are certain to find its presentation of this complex and challenging dialect informative and useful in discussions of Arabic dialectology. Samuel Romanelli was a free spirit, a son of the Enlightenment, who spend most of his life travelling in search of adventure, knowledge, and patrons for his literary endeavors. By the early 1780s, Romanelli had travelled from his homeland to England and established himself among the Maskilim, or Jews of the Enlightenment, and patrons of Hebrew culture. Fluent in ten languages, he was a poet and translator of classical and contemporary literature into Hebrew, and apparently he earned a good living. During a return voyage to Italy in 1786, he became stranded in Gibraltar for an extended time which depleted his funds, and his economic circumstances forced him to join a merchant travelling to Morocco. Through misadventure in Morocco, he lost his passport and was retained in that country for four years, the story of which forms Travail in an Arab Land, first published in 1792 in Berlin. The book is a firsthand account of the author’s adventures during the four years he was stranded in Sharifan Morocco between 1787 and 1790. Tuhami is an illiterate Moroccan tilemaker who believes himself married to a camel-footed she-demon. A master of magic and a superb story-teller, Tuhami lives in a dank, windowless hovel near the kiln where he works. Nightly he suffers visitations from the demons and saints who haunt his life, and he seeks, with crippling ambivalence, liberation from 'A'isha Qandisha, the she-demon. In a sensitive and bold experiment in interpretive ethnography, Crapanzano presents Tuhami's bizarre account of himself and his world. 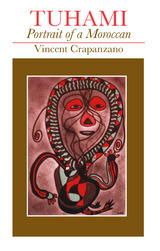 In so doing, Crapanzano draws on phenomenology, psychoanalysis, and symbolism to reflect upon the nature of reality and truth and to probe the limits of anthropology itself. Tuhami has become one of the most important and widely cited representatives of a new understanding of the whole discipline of anthropology. In this remarkable work by seasoned scholar Lawrence Rosen, we follow the fascinating intellectual developments of four ordinary Moroccans over the span of forty years. Walking and talking with Haj Hamed Britel, Yaghnik Driss, Hussein Qadir, and Shimon Benizri—in a country that, in a little over a century, has gone from an underdeveloped colonial outpost to a modern Arab country in the throes of economic growth and religious fervor—Rosen details a fascinating plurality of viewpoints on culture, history, and the ways both can be dramatically transformed. Through the intellectual lives of these four men, this book explores a number of interpretative and theoretical issues that have made Arab culture distinct, especially in relationship to the West: how nothing is ever hard and fast, how everything is relational and always a product of negotiation. It showcases the vitality of the local in a global era, and it contrasts Arab notions of time, equality, and self with those in the West. Likewise, Rosen unveils his own entanglement in their world and the drive to keep the analysis of culture first and foremost, even as his own life enmeshes itself in those of his study. An exploration of faith, politics, history, and memory, this book highlights the world of everyday life in Arab society in ways that challenge common notions and stereotypes. Each year, in a solemn Sunni Muslim feast, the Ait Mizane of southern Morocco reenact the story of Abraham as a ritual sacrifice, a symbolic observance of their submission to the divine. After this sober ceremony comes a bacchanalian masquerade which seems to violate every principle the sacrifice affirmed. Because of the apparent contradiction between sacrifice and masquerade, observers have described the two as entirely separate events. This book reunites them as a single ritual process within Islamic tradition.